Delicious nachos. Perfect for a quick lunch or weeknight dinner! Brown the ground beef with the chopped onions and taco seasoning. Drain and return to the skillet. Mix in the black beans and toss for a minute or two over low heat, then remove from heat. Season mixture with salt and pepper to taste. Add the tortilla chips to the base of a 7×11 or 9×9-inch baking dish. Add the beef-bean mixture over the top and then add the shredded cheese on top. Bake in the preheated oven for 10-15 minutes, or until cheese has melted through. 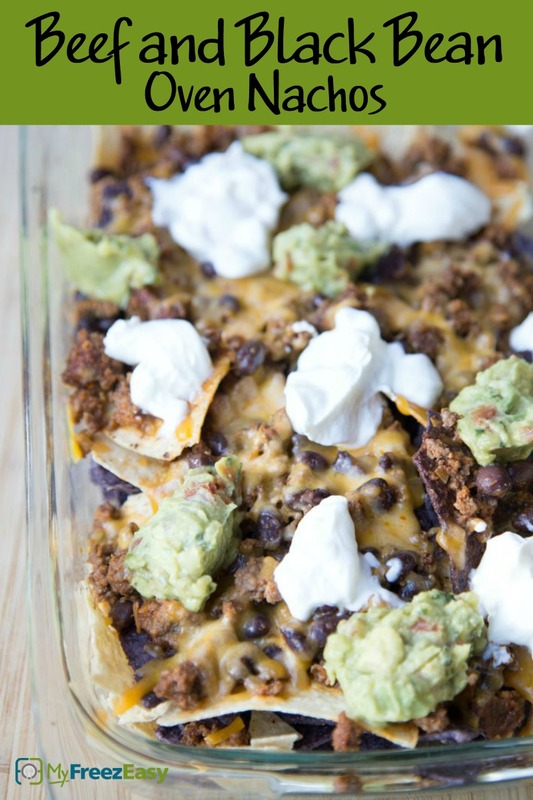 Top with dollops of sour cream, guacamole or other favorite nacho toppings. Serve Beef and Black Bean Oven Nachos with fresh fruit. Half of the finely chopped onion. Put baggie in the freezer and freeze up to 6 months in fridge freezer or 12 months in a deep freezer. Thaw in the fridge overnight, or a warm bowl of water for about 20 minutes, before transferring to the skillet to reheat and then using to assemble nachos as directed. 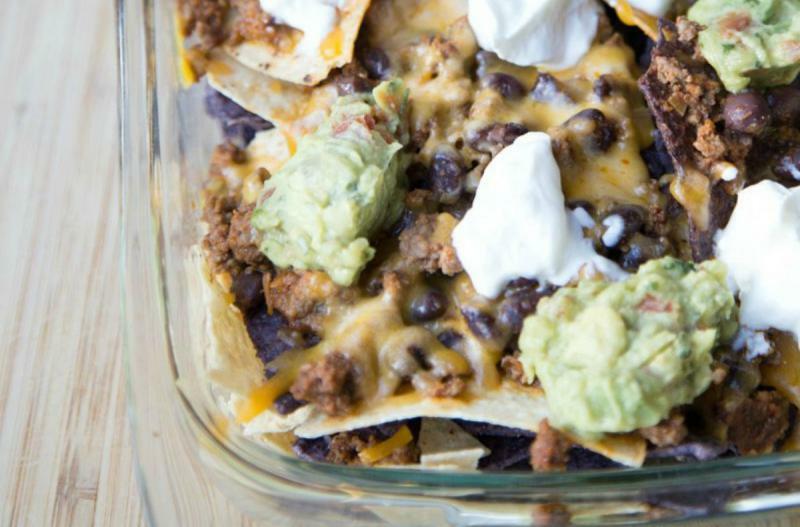 The beef and black beans are prepared and frozen ahead of time so you can make nachos for a quick, easy dinner. Omit the cheese and sour cream garnish. Thaw and reheat nacho meat on low in skillet. Assemble nachos and bake at 350 F for 15 minutes.